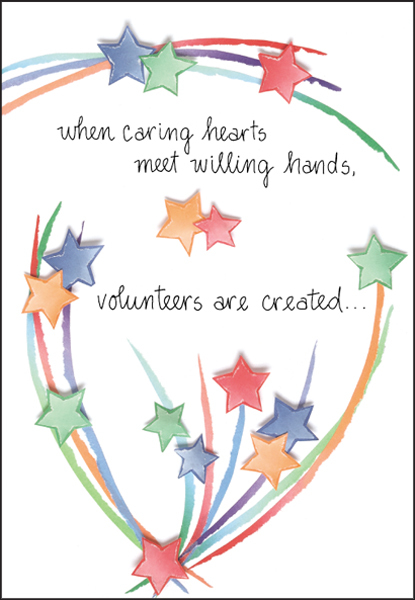 Thank Your Volunteers For Any Occasion | it takes two, inc. The many kindnesses of volunteers number as the stars in the sky. Each volunteer is a star in his or her own right and deserves our highest appreciation. 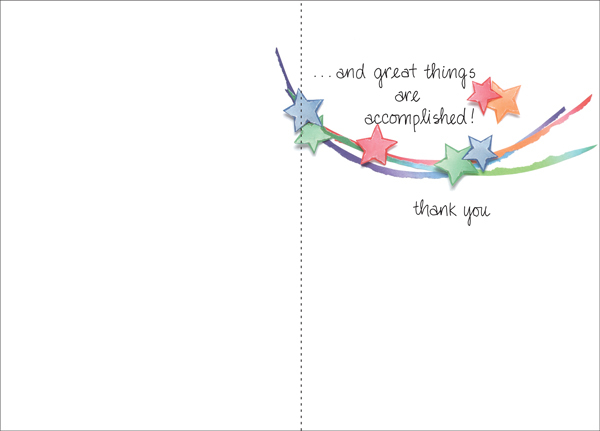 Giving a volunteer thank you card from it takes two is a gesture that will be truly appreciated.